Every year I make it my goal to take my skin to the next level and in doing so I’ve seen a huge improvement over the years. 2018 is no different! After gauging your interest in 2017 and seeing how intrigued y’all were, I’ve decided to make beauty & skincare a more prominent piece of content on my blog. Throughout the year, I’ll be testing out various skincare products, brands, and procedures to share my honest reviews and opinions with you guys! 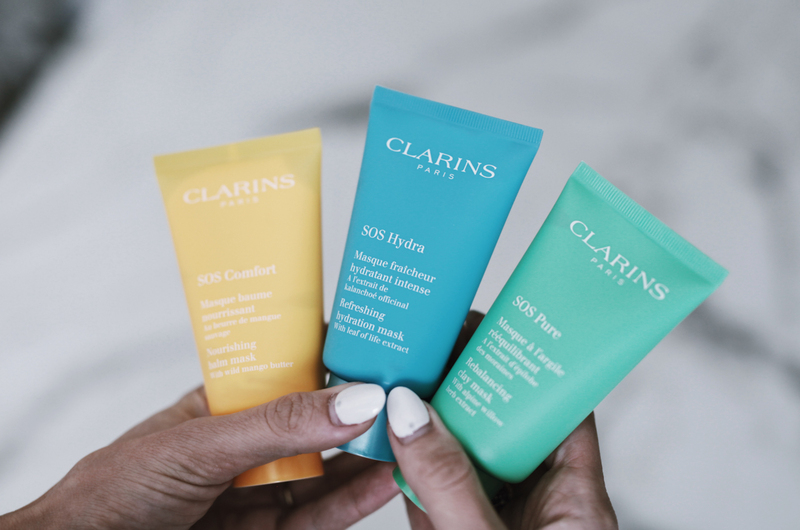 I’m starting the year off with these new Clarins SOS masks! 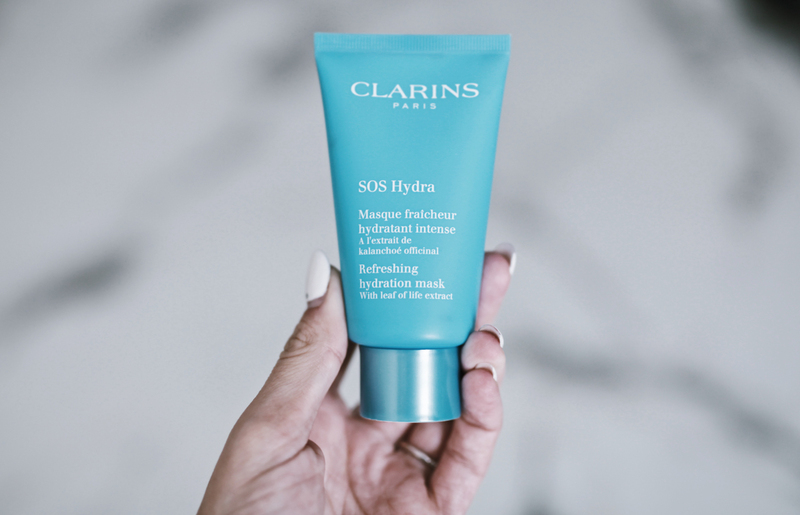 These Clarins SOS masks are amazing. With three different options to choose from — SOS Hydra, SOS Comfort, and SOS Pure — there’s something for every skin type! Each of the masks are to be left on your skin for 10 minutes, but they all do different things. 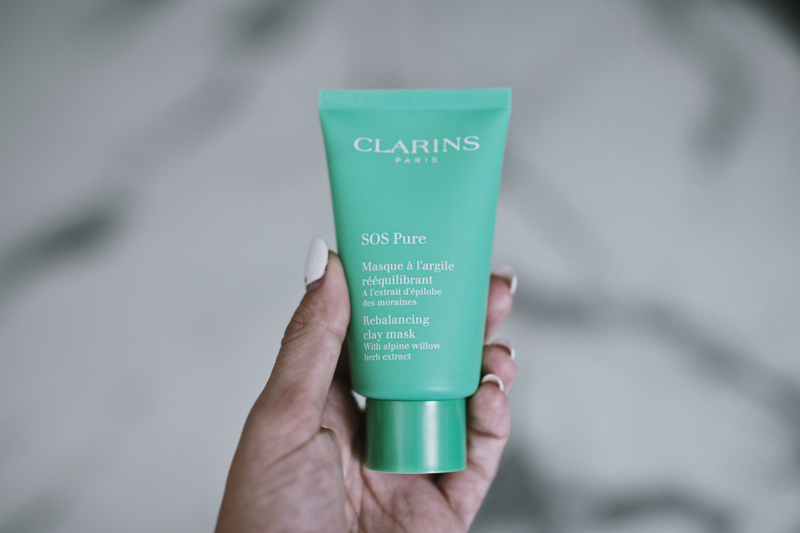 I have more oily skin, so I started with SOS Pure. 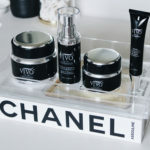 I LOVED this one, but I tried all of them out so I could share how each of them made my skin feel! Below are each of the masks with a detailed description of what they do and my thoughts. I don’t usually go for a moisturizing mask because I have always felt like make my face even more oily than it already is. But sometimes our faces need moisture (even when we have oily skin). I love how lightweight this one is and that it helps smooth out fine lines. I did notice a nice healthy glow after using this one! Although I have more oily skin, my face occasionally gets dry & flaky during the Winter months. I was recently in Utah up in the Mountains and my skin was SO dry there. When I got home, I used this mask and it felt super refreshing. It’s intended for rough, dull, flaky, or dry skin and I can tell you first hand that it works wonders. The wild mango butter in it really helps soften your skin and leaves it feeling super refreshed! This is a creamy clay type mask and it’s used to reboot oily skin. The first time I used it I noticed a difference right away. It really did tighten up my pores and felt like it dried up my blemishes with just one use! Since I have more oily skin, this is the recommended mask for my skin type and I can totally see why after using it. If you suffer from occasional acne and have oily skin, I would definitely recommend this one for you!! 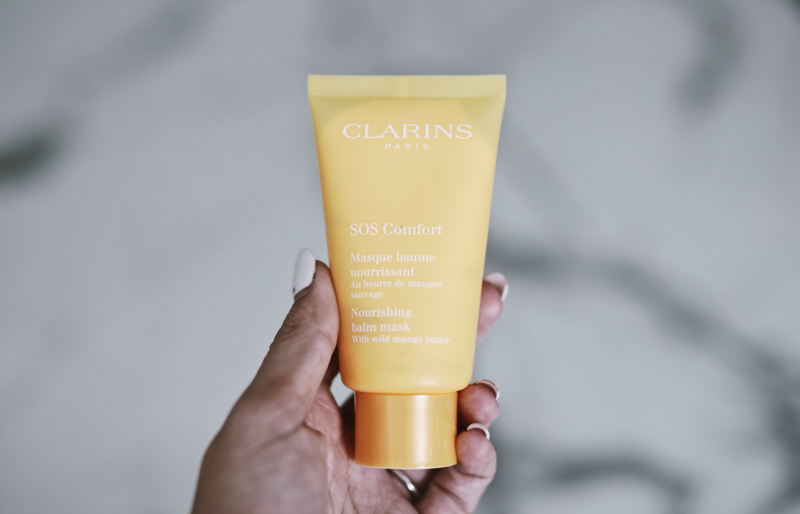 **this post is brought to you in collaboration with Clarins. All thoughts & opinions remain my own.